A cheerful pot of chives is a welcome greeting to any home. Growing chives is well worth the minimal effort. Chives are easy to grow and packed with nutrition. They don’t need a lot of care, and they come back year after year. They require very little space, making them a low-investment addition to any home or market garden. Chives add a rich flavor to baked goods, potatoes, eggs, and more. Delicious garlic-flavored chives are just as easy to grow as the more traditional onion-y variety. Chives don’t just provide a flavor boost. They provide a nutritional boost as well. Chives are extremely high in Vitamins A, C, and K. Link They contain a healthy dose of folate. Like all the alliums (garlic, scallions, onions, etc. ), chives contain heart-healthy allicin. Allicin has been shown to help with cholesterol issues and lower blood pressure. Chives’ vitamin boost is especially welcome because chives are among the first vegetables in the northern spring. Spring chives sometimes pop up through the snow during breakup. The overwhelming majority of chive growers start them with transplants. Therefore, the variety most people select is “whatever they got from their neighbor.” Most people are happy to give away a section of one of their chive plants. If you have to go to a nursery, look for both garlic and regular chives. It is a great idea to grow both. As with any plant, your local nursery is likely to have varieties suited to your climate. Of course you can start chives from seed if you would like to. Most seed catalogues carry just a handful of chive varieties. Make your selection based on your climate, and remember those garlic chives! You can often imagine a crop’s pitfalls by thinking about cuisine. When I think of chives, I think of poached eggs, smoked salmon, and pumpernickel bread. These are the foods of cold countries. It should come as no surprise that chives thrive in cold climates. Conversely, they struggle in intense heat. 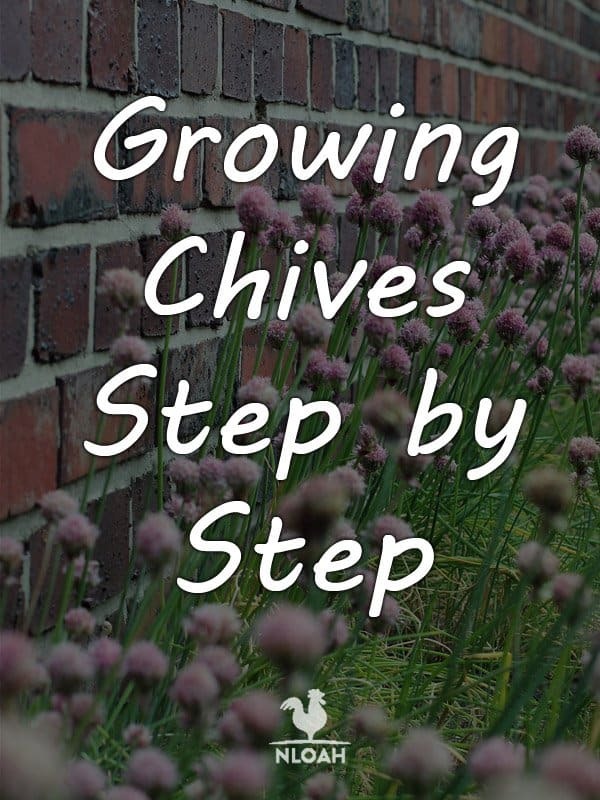 I struggle in intense heat, too, so I had to research hot weather chive growing advice. New Orleans Columnist Dan Gill (Link) recommends planting chives in the fall, and having the plants harvested and preserved by late spring. In cold climates, it’s best to plant a division in the early season to get full summer growth. However, if someone gives you a division in midsummer or even early fall, just put it in the ground. It is more than likely to come back and thrive the following year. Chives are said to improve carrots’ and tomatoes’ flavors in companion plantings (Link). I have never tried this because my primary concern is preventing chives from taking over. I plant them in containers to keep them from spreading. I would recommend this approach to most gardeners. Wherever I have lived, I have placed chive containers at the entrance to my home or trail. Many of my neighbors have done the same. I never thought much of it. It was just habit and I thought it looked nice. Recently, I read in the Old Farmer’s Almanac that people used to hang chives to ward off diseases and evil spirits. I wonder if my neighbors and I were continuing that superstitious practice without realizing its origins. Whether you believe in evil spirits or not, chives do look nice by the front door. They add a lot of upright greenery, and pretty purple flowers, from a small container. In colder climates, plant chives in a sunny spot. A little bit of shade is fine, if you are short of space in the full sun. They only need 6 hours of sun per day. In hot climates, consider planting chives in portable containers. You can give them full sun in the winter, then move them to a cooler spot for summer’s heat. Another approach is to integrate chives into seasonal succession planting. Plant chives in winter, and harvest them through the spring. Then, pull them up and replace them with heat tolerant plants for the summer. Before you pull them up, put a small clump of them in a pot suitable for the indoors. Then you can still have some fresh chives to use for garnishes throughout the summer. Chives are extremely hearty to the transplanting process. They will soon thrive in their new homes. In cool climates, you can transplant in spring or any time in the summer. In hot climates, transplant in fall, winter, or spring. This is a very short section! The truth is, you really don’t have to do much for chives. Just plant them and let them do their thing. Chive plants like moist soil. Keep them well watered. Using mulch will help keep the soil moist, reducing the amount of watering you have to do. As summer draws to a close, stop watering the plants. 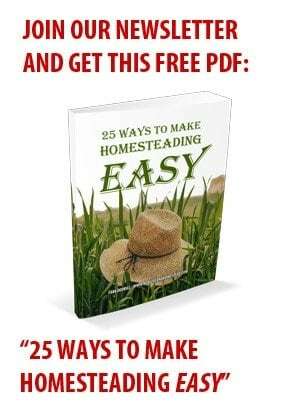 This will help the plants to prepare for winter. Mulch is also important for weed control. As chives are perennials, you cannot dig out weeds the way you can in an annual bed. Lay down a thick layer of mulch to discourage perennial weeds from coming up in your chives. You can side dress your chives once a year with compost, especially if they are not producing. However, most people save most of their compost for other parts of the garden. Chives don’t need very much. Chives typically don’t attract pests. Some people break off the flowers to encourage more green growth. I, personally, like the flowers so I leave them be. After a few years, divide your plants. After three or four years, divide your plants. This will make the plants more productive and the chives more tender. Don’t lose sleep over this process. Chive plants are extremely hearty to division. You can divide your plants in spring or summer. They will start putting out new, green growth almost immediately. • Water the plants very well, a few hours before dividing. • Lay out containers for your new divisions. • I use salvaged single-use plastic water bottles with the top portion cut off. I put a little gravel in the bottom to keep them from falling over, and fill them with 2-3 inches of water. • Snip the chive tops down until the green part is about 4 inches tall. This stimulates growth. • Gently work the earth around the entire plant, until you can pull the whole plant up. • Separate into smaller clumps. Stubborn patches may need to be whacked on the ground. • Aim for about 3-4 bulbs per clump. You don’t need to be too meticulous. • Place your new clumps into containers promptly. You can place several in each water bottle if you plan to transplant them soon. • Replant about one third of your plants in place, leaving space in between. • Enjoy the delicious new growth your plants produce! Now you have lots of new plants to either plant elsewhere or give away! Frequent harvest will keep your chives productive and tender. Cut the leaves with a scissor, close to the base of the plant. The flowers are also edible and make a beautiful garnish for salad. The flower stems are woody- remove them from the bunch before chopping. Before the season is over, dig up a small clump of chives and put them in an indoor container. That is the best way to enjoy chives all winter long. Chives will tolerate the first few light frosts. When the plants do start to look ragged, cut the growth down to the base of the plant. You can freeze these chives (make internal link), or try a new recipe such as chive pesto (make internal link). As with any perennial, work some compost into the soil around the plant at the end of the season. Cover the plant with a layer of mulch. The best way to preserve chives is to keep a plant alive, indoors, through the winter. However, if you cannot keep indoor plants, you can freeze or dry your chives. Freezing preserves chives’ flavor better than drying. I have dried chives before, and I thought they were OK. They still give winter foods a nutritional boost, and they do have some flavor. I have taken dried chives on camping trips for extra vitamins, as well. Chives can be hung in bunches to dry. Once they are dry, chop and store in an airtight container. Chives can also be coarse chopped and dried on the herb tray in a food dehydrator. This will make your house smell very oniony, so it isn’t for everyone. There are several methods Link for freezing chives. Some of the recommendations I have seen seem very complicated not only to make, but to use when you are cooking with them later. • Chop them up and spread them on a cookie sheet in the freezer. • When they are frozen, place them in a small baggie in the freezer. • You should be able to use pinches of chives from the bag without too much clumping. Chives’ flavor is lost if they are cooked for a long time. Don’t add them to recipes for soup, for example, until you are almost finished cooking. If you don’t want them to be completely raw, just stir them gently into hot food just before serving. The heat from the food should be enough to gently wilt the chopped chives. Chives are a classic ingredient in dips, salad dressings, baked potatoes, and eggs. Garlic chives are used in many Asian dishes. I hope this article has shown you how easy it is to have your very own chives. Even if you are not ready for a large garden, chive plants are greens within your reach! Whether you live in an apartment or on a farm, chive plants will brighten your day and your plate!